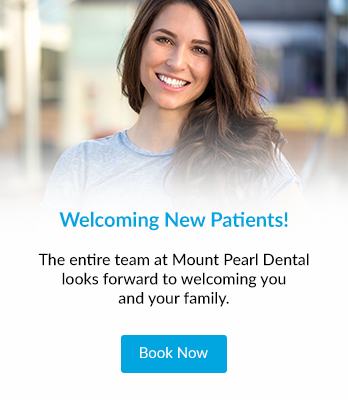 Read the Mount Pearl Dental blog for dental health news, tips and information from our dentists and dental team. The cost of Invisalign clear aligners is comparable to that of traditional metal braces, but depends on the nature of your issues. Here, our dentists explain. iTero is a dental impression scanner that allows your dentist to take digital images to plan your Invisalign treatment. Here, our dentists explain what it is and how it helps you get the most out of your treatment. Taking care of your Invisalign® aligners is an important part of your treatment plan. Our dentists explain how to care for them while you're on the path to a straighter smile. You might be wondering about Invisalign's clear braces. Our Newfoundland dentists explain what you can expect before and after treatment, and how Invisalign can help you achieve a straighter smile. If you decide that Invisalign is right for you, you'll be on the path to a straighter smile. Our Newfoundland dentists share what you can expect from your Invisalign journey - from beginning to end. Are you looking for a dental treatment to enhance your smile? You may be wondering about Invisalign an as option. In this post, our Newfoundland dentists explain how it works. Invisalign aligners are an alternative to metal braces for straightening your teeth. Here, our Mount Pearl dentists review the differences between these two orthodontic treatment options. 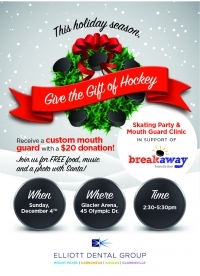 This holiday season Dr. Greg Elliott and Elliott Dental Group want to give back to their community in a meaningful way.